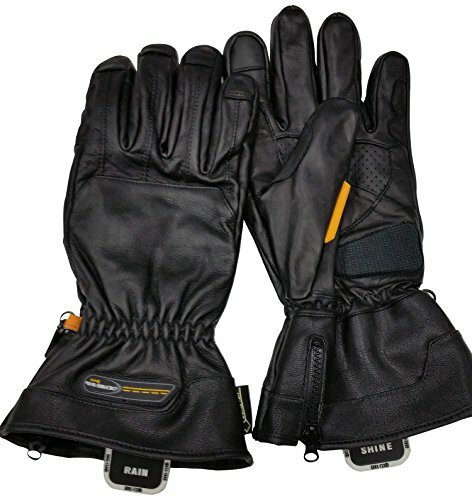 Premium cowhide leather with Gore-Tex dual chamber technology for choice of weather conditions. The shine chamber is for tactile grip while the rain chamber is for waterproof protection. There is touch technology on the thumb and forefinger, visor wiper, adjustable zipper at entry and a silicone gel anti shock skid pad.